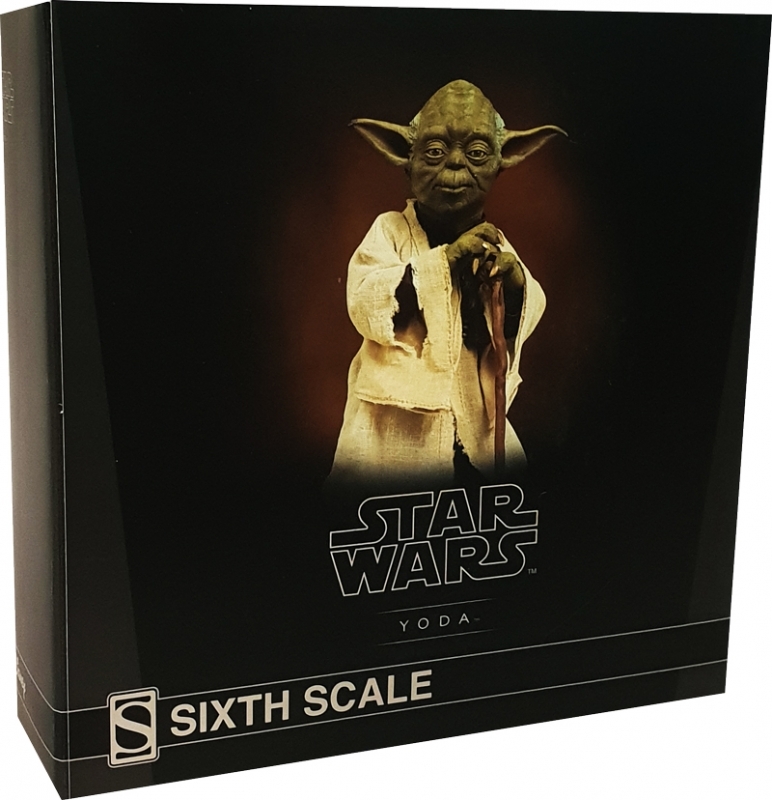 From the swamps of Dagobah, Sideshow is proud to present the Yoda Sixth Scale Figure, joining the galaxy of Star Wars collectibles. 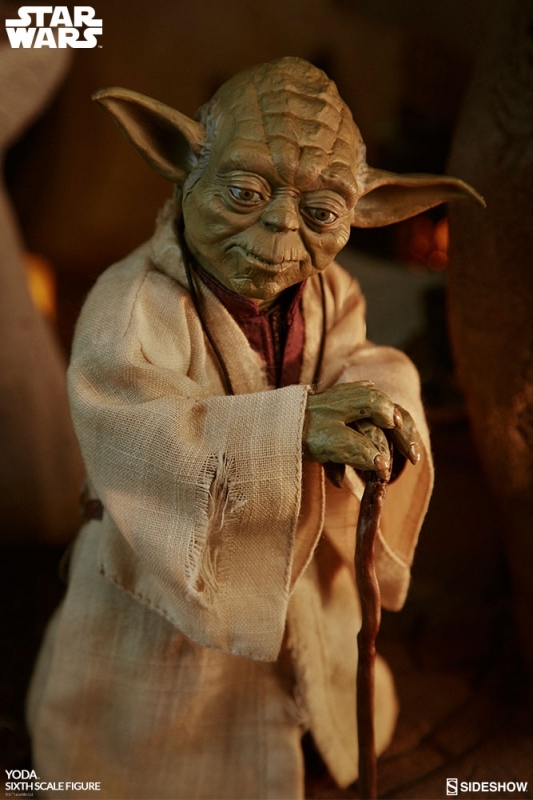 The Yoda Sixth Scale Figure captures the wizened and powerful Jedi Master as he appeared in Star Wars: The Empire Strikes Back. 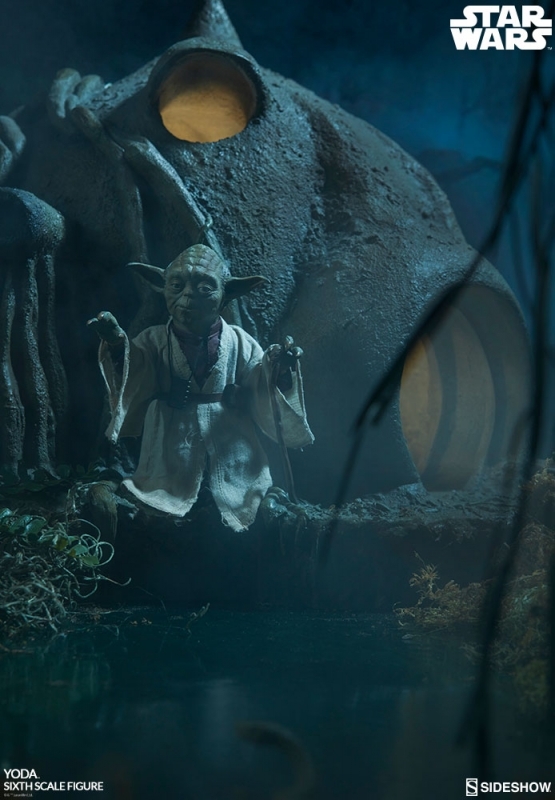 Based on the fateful Dagobah encounter, Yoda has a newly sculpted portrait with a calm, contemplative expression and sculpted hair. 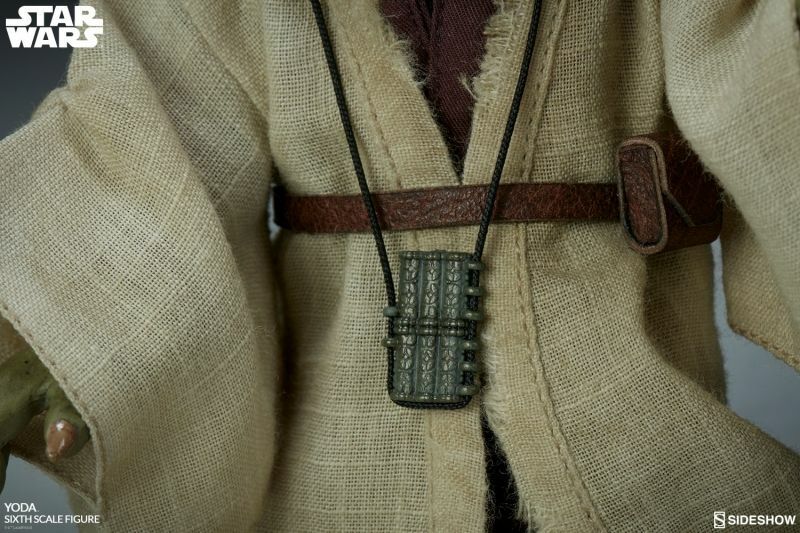 He wears a custom-tailored fabric costume, detailed with weathering and signs of age, with a blissl instrument hanging around his neck. 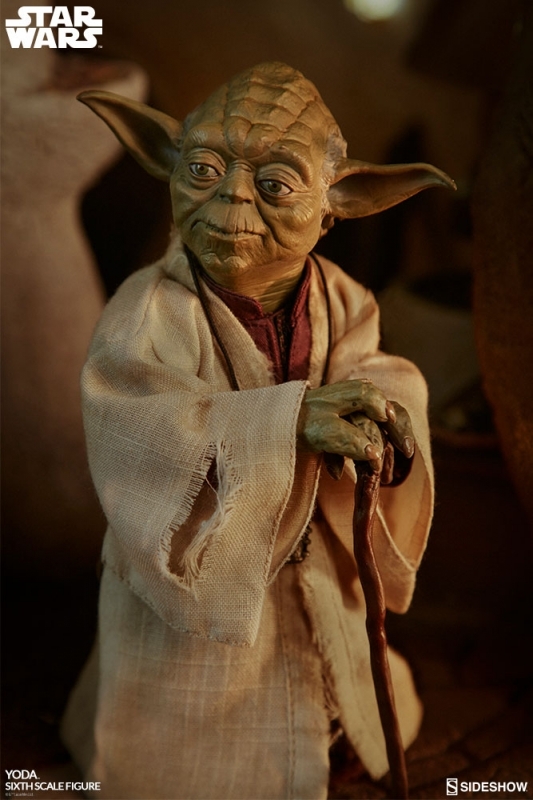 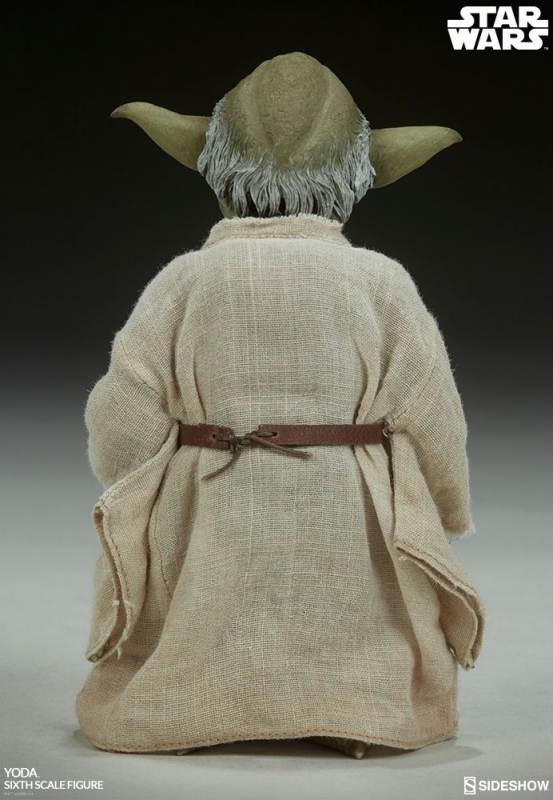 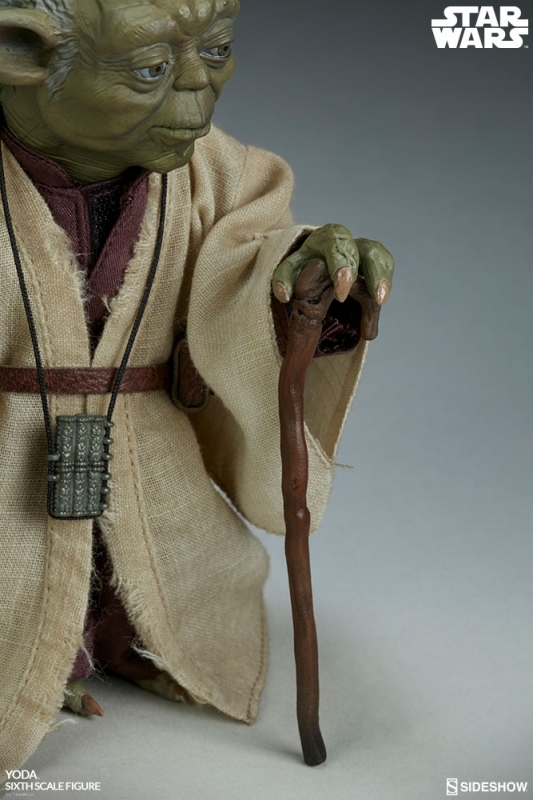 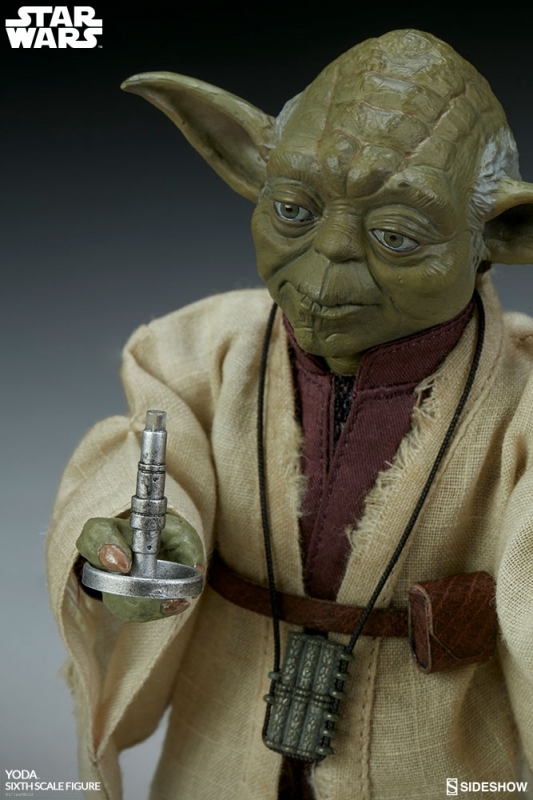 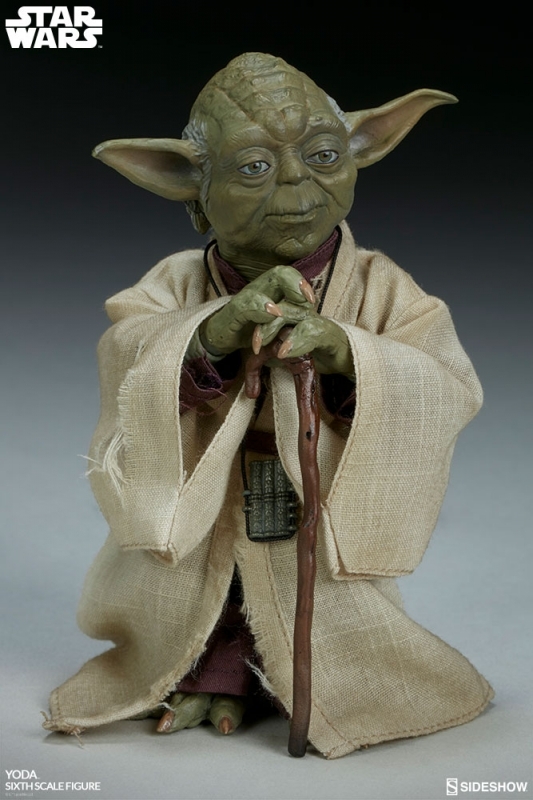 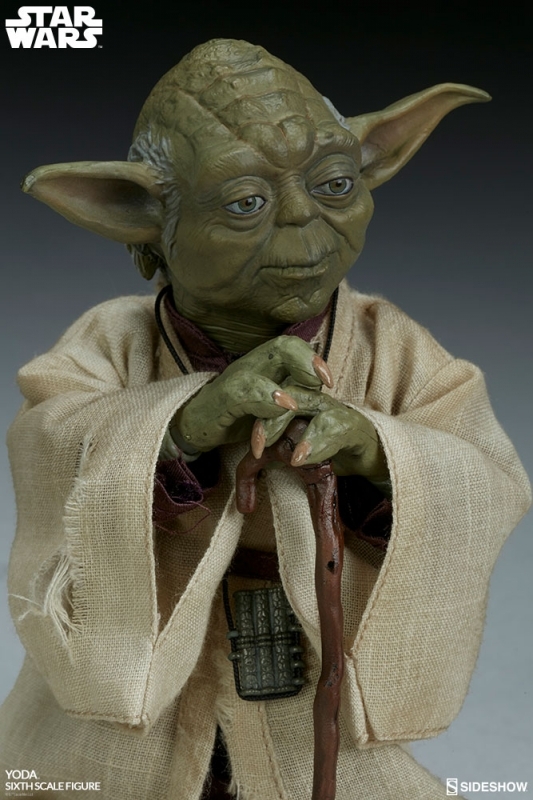 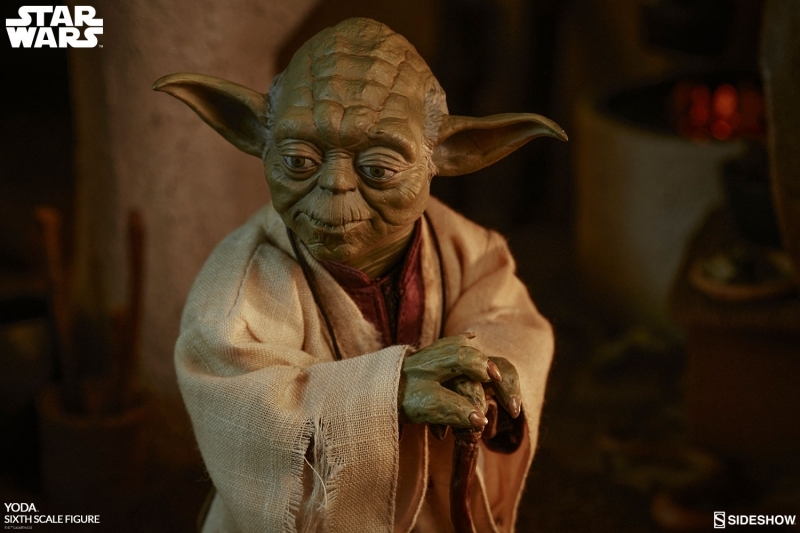 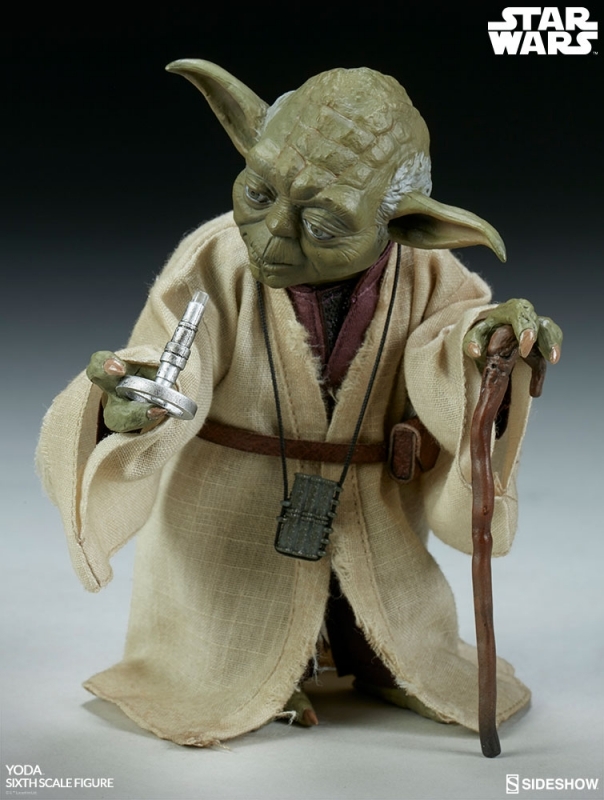 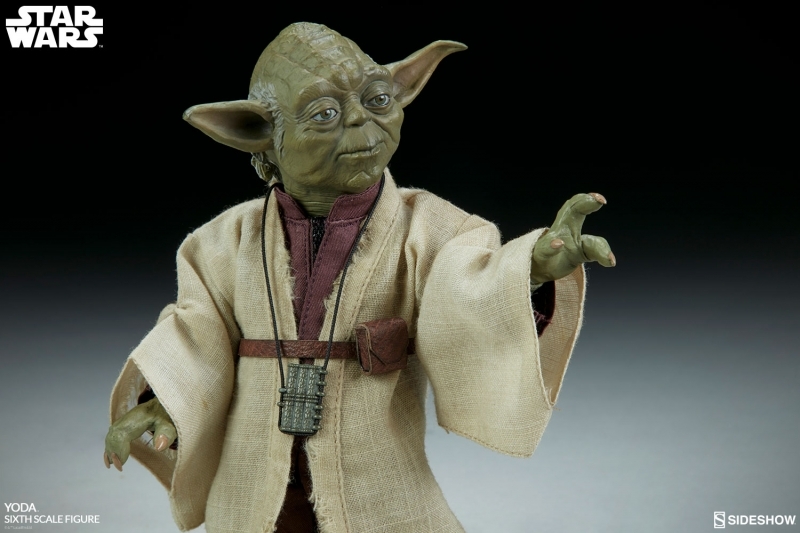 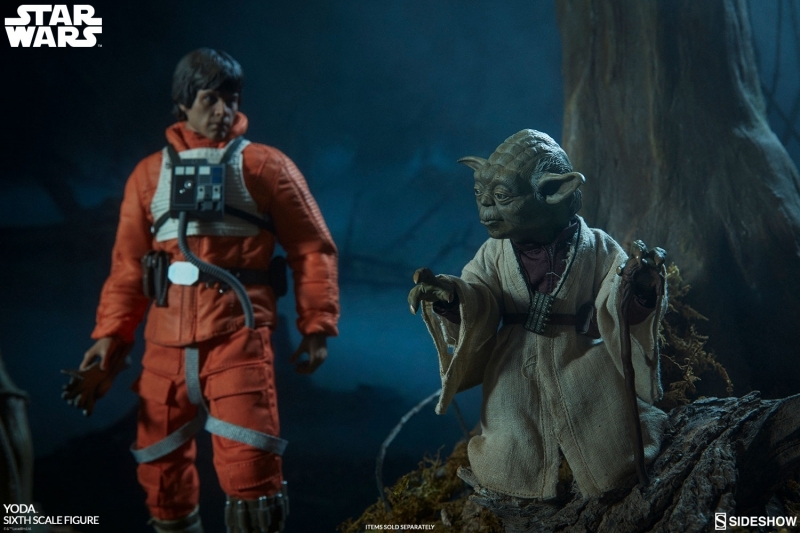 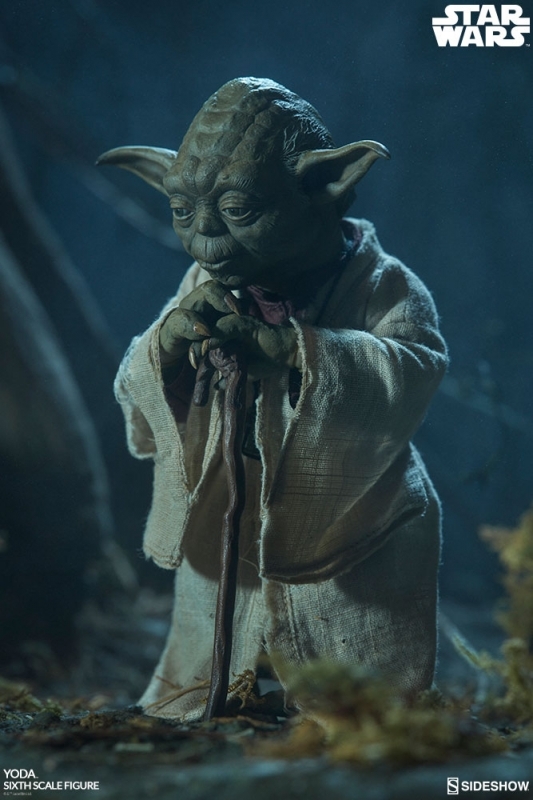 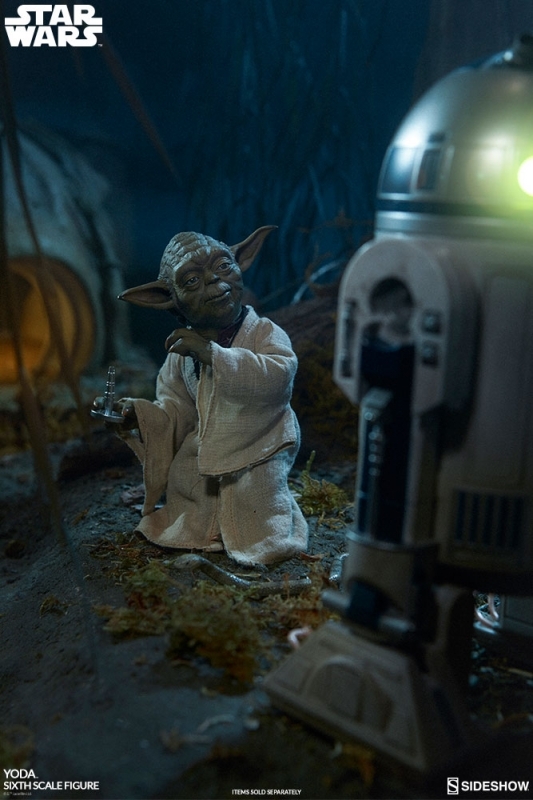 The Yoda Sixth Scale Figure features a cane accessory and a lamp, and the figure comes with three sets of uniquely sculpted hands including a pair of relaxed hands, a pair of cane-holding hands, a pair of force hands, and a lamp-holding hand. 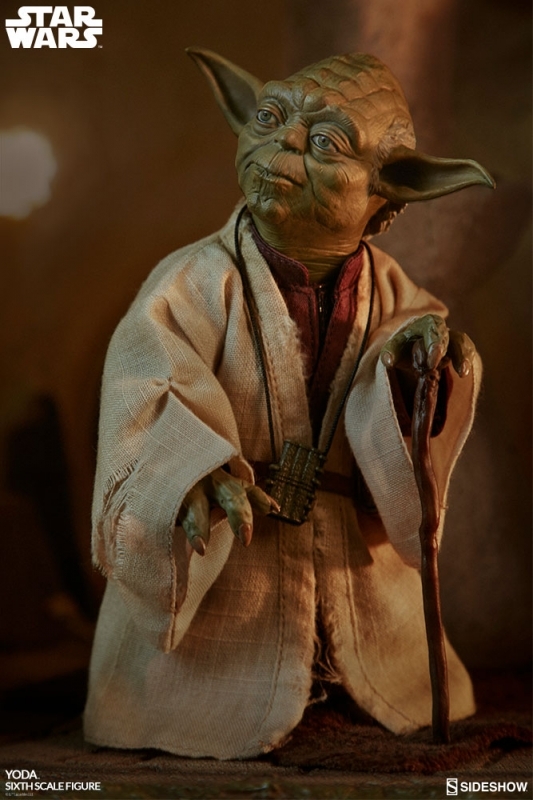 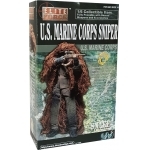 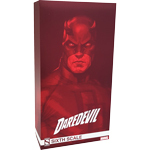 Add this figure to your collection, you must! 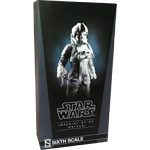 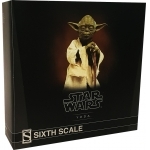 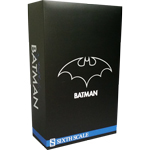 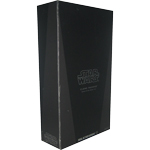 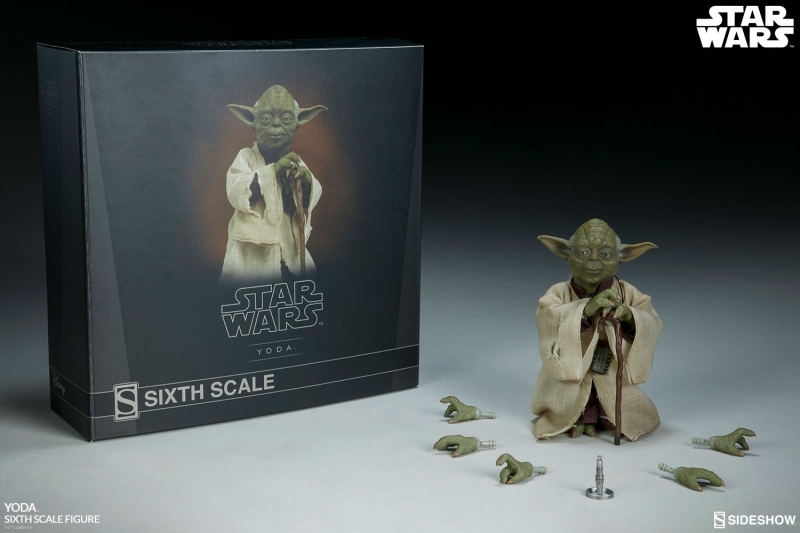 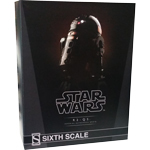 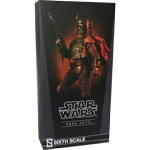 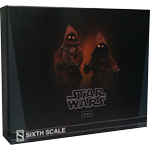 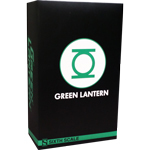 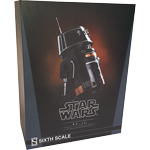 Bring the force of the Yoda Sixth Scale Figure to your Star Wars collectibles today.